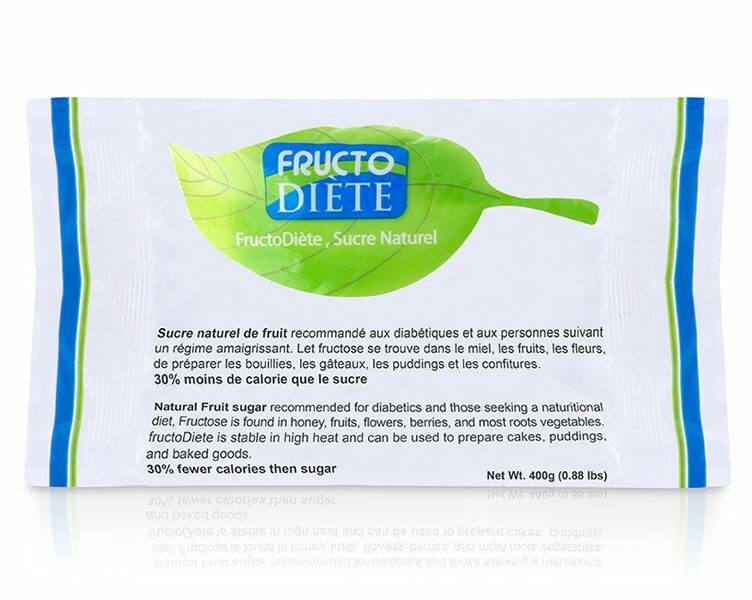 Natural fruit sugar recommended for diabetics and those seeking a nutritional diet. Fructose is naturally found in honey, fruits, flowers, berries, and most root vegetables. FructoDiete is stable in high heat and can be used to prepare cakes, puddings, and baked goods. Contains 30% fewer calories than sugar.